One thing about sports careers that you either already know or will soon realize is that a lot of people are interested in these positions. Because of this, it's important to write a sports career resume that connects with a prospective employer. Typically, sports career employers receive hundreds of resumes when a position opens. Make sure your resume stands out. Here are some ideas for writing an effective resume, along with some specific ideas for a sports career resume. Start your resume with contact information. The goal typically is to land an interview. Placing this information at the top of your resume should prove helpful. After you win over the prospective employer with the rest of your resume, they will need this information to contact you. This is one category in your resume where it is important to be in-depth. List your address, the various phone numbers where you can be reached, as well as e-mail addresses and the link to your LinkedIn profile. By taking the time to organize your resume, the prospective employer will see that you are a person with effective communication skills, who takes pride in making a good first impression and has a passion for the industry. One goal for your resume is to grab the reader's attention. One way to do this is to list five to ten accomplishments right at the top. These topics may receive more detail further down in the resume, but putting them first will grab attention. Organize your resume in categories. This approach will help the reader process the information and will later serve as effective reference material. For most sports career positions, a one- or two-page resume should suffice. 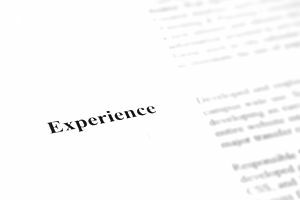 If a resume is running long, combine some experiences or cut experiences that have little to do with the current position you’re applying for. As your work or education experiences change, make sure you not only note them in your resume but re-organize your resume to emphasize the changes that best reflect your current qualifications. Don’t simply tack on one job after another. Outline the accomplishments that best apply to the pursued position, followed by lesser accomplishments. If the list is getting long, combine some experiences or delete them all together. Do not exaggerate your accomplishments. Employers are going to take the time to investigate the accuracy of your resume. Make sure the facts of your experience are precise and expressed in an accurate manner. Take the time to re-read your resume to find any typos or grammatical errors. Also, have a colleague or friend review your resume for these types of mistakes. In expressing your accomplishments, be specific but do not exaggerate. For instance, if your department improved season-ticket sales, include the exact percentage season ticket sales improved as well as your role in that improvement. As you apply for a specific sports career job, adjust your resume to highlight the experiences that best express why you are the best person for the available sports career position. In presentation and content you develop, let your personality shine through. This will help the prospective employer remember your resume and help you stand out from the crowd. This is especially important in sports careers, where numerous people often are pursuing the same position. Here is an example of a sports career resume. Talented and record-setting Baseball Coach with 7 years’ experience guiding high school teams to divisional championships. Train and motivate baseball teams to regional, district, and state championship successes. Coordinate infield, pitching, and hitting coaching sessions and clinics with assistant coach and volunteer coaches; make arrangements for team travel, supervise players during away games, track recovery from game or practice injuries, and liaise with college talent scouts. Built and led high school baseball team to achieve 4 5A State Championships, 2 5A State Runners-up rankings, and 6 Regional Championships. Achieved 128 total wins during position tenure. Trained over 50 players who continued to play college, minor league, or major league baseball. Promoted within one year of hiring as Assistant Coach to Head Coach position. Played minor league baseball, serving as catcher for three seasons. Attended practices, toured with the team, and participated in promotional events. Coordinated and led youth training camps for area elementary school and middle school players at Camelback Ranch. Successfully threw runners out trying to steal second or third for 60% of attempts.